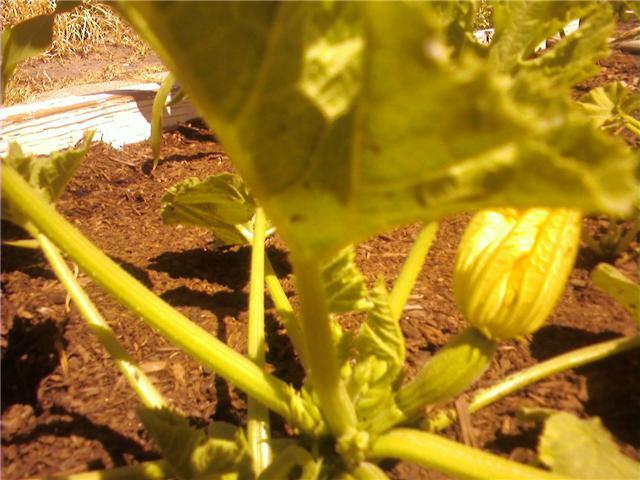 First zucchini of the season. Our weather has been rainy with mild temperatures so that should make for perfect gardening. The zucchini is doing well but everything else looks a little rough. The romaine went to seed much earlier than usual considering the favorable conditions. The remaining green and red leaf lettuce is starting to brown on the tips but is still tasty. The heirloom tomatoes that I started much too early are thin and I only see one lone tomato between the three plants. The larger tomato seens to be doing well and has about a dozen flowers. Our pepper plants are also thin and frail looking. Everyone in the Valley has great luck with peppers except me. It's a running joke between me and my brother in Apache Junction. He has beautiful peppers but cannot grow thyme at all. I have awful peppers but as they say, thyme is on my side. A trip to the nursey yesterday made it evident that I am not the only one with issues this season. The peppers at the nursery didn't look any better than mine. We purchased two heirloom tomatoes and a half dozen herb varieties. The tomatoes will replace the lettuce one it gets too warm to grow greens and the herbs will take over the spot where we planted garlic that the cats dug up.